An international touring show that delivers an amazing hair metal extravaganza. The band headlines around the world blowing away concert goers delivering some of the biggest rock anthems of all time. The concert production is unparalleled, with amazing costumes, and huge video screens displaying a nostalgic, as well as cutting edge backdrop to the event. 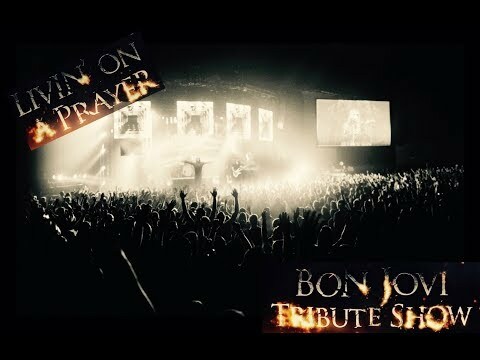 The band tears up the stage with all of the signature hits including, You Give Love A Bad Name, Livin’ On A Prayer, Wanted Dead Or Alive, It’s My Life and many more. LIVIN' ON A PRAYER spans the decades that made Bon Jovi one of the biggest acts in history. 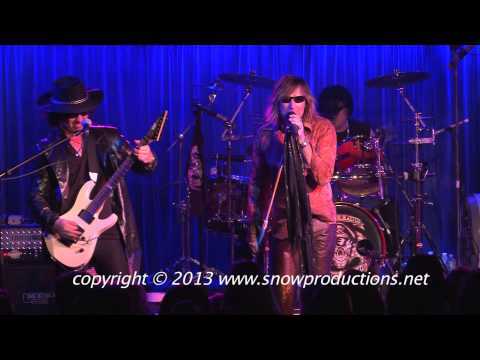 Featuring Las Vegas award winning Bon Jovi tribute artist Eric Sage who has recorded and performed with some heavyweights of the rock world, including Slash of Guns ‘n’ Roses/Velvet Revolver, and Vince Neil of Motley Crue. The band also includes guitar virtuoso Kevin Tapia, together with some of the best rock musicians in the world. With a huge wall of sound, massive vocals including 3 part harmonies, their live shows rock as if you were in an arena with the actual band. Also available are our amazing dancers, the “Prayer Girls", who always add to the party! Do you remember the 80’s? Stand up! Put your fists and lighters in the air! It’s time to sing along and experience the legendary rock show! Voted “best tribute show” Las Vegas Entertainment - Livin' on a Prayer is booked nationally and world-wide.